1.How do I report that my power is out? Call 865 425-1803, regardless of the day or time. During regular business hours, a representative of the Electric Department will answer your call. After hours and during weekends, your call will be answered by the City’s emergency dispatch center. Be prepared to give your address and a call-back number. 2. How can I prepare for an extended outage if someone in my home has special medical equipment? Call 865 425-1803 and request to be added to the “Critical Care Customer List”. Or, submit the online Critical Care Customer Application here. 3. What should I do if my lights blink? If it happens a few times, there is no cause for concern. If you experience a couple of blinks back to back, the protective devices on the power system are operating to clear a problem. Falling limbs, squirrels and birds faulting the line often cause blinks. If you are concerned about a blink, call 865 425-1803. If your lights are fading, dimming, or blinking in a concerning manner, the service truck will be dispatched to check connections at your facility. 4. What should I do if my lights fade or get dim? If it happens once or twice, briefly, there is no cause for concern. If you continue to have trouble with your lights flickering or dimming, call 865 425-1803 to report the problem. The service truck will be dispatched to your facility. 5. How can I protect my electronic equipment and appliances from surges caused by lightning, etc? Whole house lighting protection installed at the meter is an excellent method for protecting sensitive equipment during storms. An arrestor may be purchased at a local electrical supply store. We will install the device at no charge. To arrange installation, call 865 425-1803. If you have questions about what to buy, please call our office and ask to speak with Ardo Ba or Engineering. Learn more by visiting our Surge Suppression page. 6. Will you repair my service mast? Repair of fascia board, repairs to the structure, repair or replacement of the service mast or meter base are the customer’s responsibility. 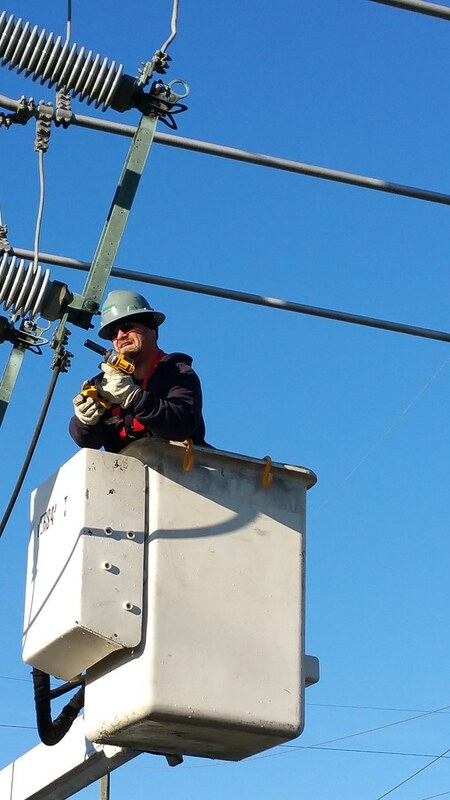 CORED will replace/repair the conductor that runs to the top of your service mast and make the connections to the wires protruding from your service mast. Customers own and maintain the conduit, meterbase, supports, and grounding associated with the service mast. View a picture of a typical service mast. 7. Will you trim or cut down my trees? Perhaps. It depends upon factors such as the tree’s impact on the safety of electric linemen and the public, proximity to the power lines, and whether the tree is located on public or private property. Contact Lily Seabolt at 660-1592, if you need an evaluation of a tree. Learn more at our Tree Trimming webpage. 8. Am I allowed to landscape around pad-mounted transformers and under power lines? 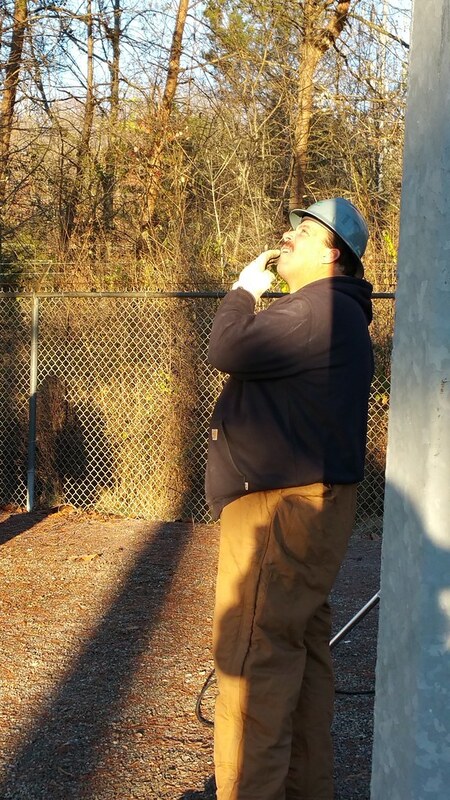 Yes, you can plant around pad mounted equipment as long as you maintain the clearances required by code around the transformer. The National Electric Safety Code requires a minimum of 3’ on the sides of the transformer and 6.5’ clearance at the front. 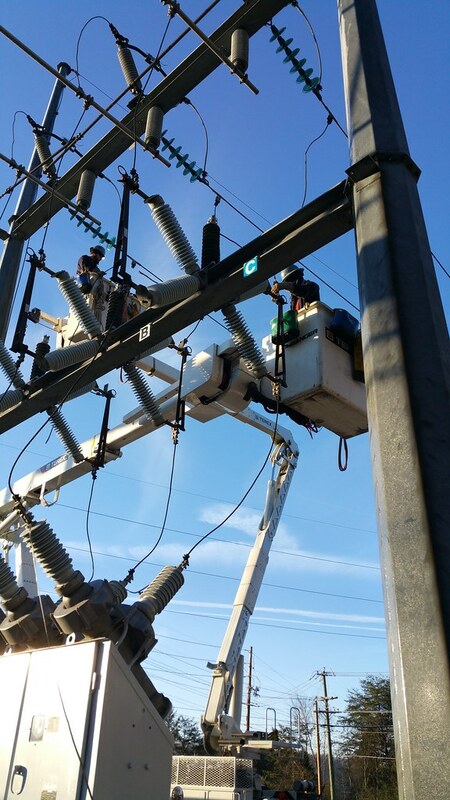 If you aren’t sure which side is the front, it is safest to maintain 6.5’ to 7.5’ around the transformer. Planting of trees under and near power lines depends on the mature height of the tree and proximity to the power pole. Please refer to this drawing showing details for landscaping around transformers and power lines. 9. How can I get a security light (also called a private light) installed or disconnected? What does it cost? Visit our Security Light web page or contact the Utility Business Office at 865 425-3400. 10. How do I report Street Lights that are out and how long should I expect to wait before Street Lights are repaired? Call 865 425-1803 or use the web based Report a Problem Form to report the problem. Light repair has a lower priority than power restoration. Depending on the backlog, it may take 5 to 10 business days for a light to be repaired. 11. Where do I pay my bill? 12. What if I have a question about my bill or would like to pay my bill by phone? Contact the Utility Business Office at 865 425-3400. 13. How do I sign up for electric service? If electric service already exists to the facility, then contact the Utility Business Office at 865 425-3400 to have the account transferred to your name. 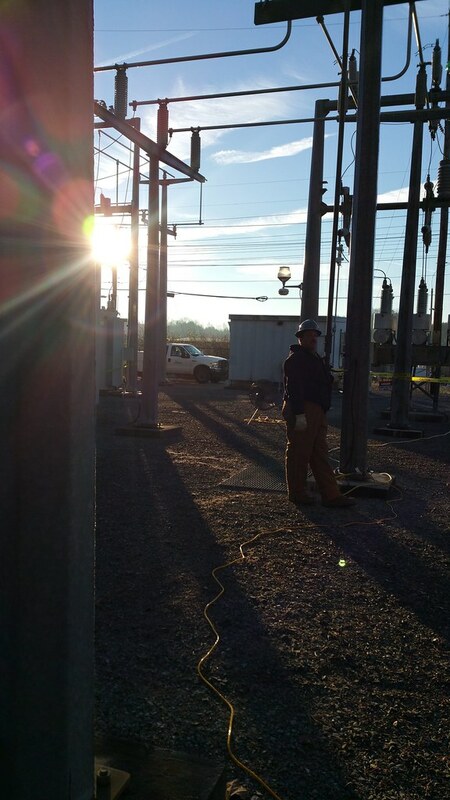 If you are building a new home or facility that requires a new electric line, contact engineering at 865 425-1803. Visit our Electric Service Request webpage to learn more. 14. How do I discontinue/transfer/start service? 15. How much are deposits and fees? Contact the Utility Business Office at 865 425-3400 for additional information. 16. How can I obtain a letter of reference to take to another utility company? 17. How can I save money on my bill? We offer several programs and services designed to help you save money on your bill. The Energy Right Program and In-Home Energy Evaluation Program are very popular. We’ll even send you a free energy conservation kit! Just complete the online energy e-Valuation. 18. How can I get an in-home energy evaluation? Visit In-Home Energy Evaluation Program for more information or call 1-866-441-1430. 19. Where/how can I properly dispose of fluorescent lamps (both tube and compact bulbs)? Take them to the Anderson County Solid Waste Management Facility on Blockhouse Valley Road: 1480 Blockhouse Valley Road, Clinton, TN. Hours of operation are every Wednesday from 8 am until 4 pm and the 1st and 3rd Saturdays of each month from 8 am to 1 pm. Residential recycling is for residents of Anderson County only – sorry, no businesses. Anderson County Solid Waste may be called at 865 463-6845. 20. How can I determine my electric usage? You may use Utility Bill Lookup to access historical usage. 21. How do I read my meter? Reading your electric meter is a good way to know how much you’re spending on electricity. Here in the Tennessee Valley our residential rates are among the lowest in the country. And together with your local power company, we’ll continue to keep those rates low, while offering more competitive and more energy efficient ways to use that electricity. Electricity is measured in kilowatt-hours. As sort of a quick reference, a 100 watt light bulb burning for 10 hours uses one kilowatt-hour. Electric meters keep track of how many kilowatt-hours you’ve used. There are two kinds of electric meters, digital and dial. Both are pretty easy to read and understand once you get the hang of it. Click here to see how to read a digital and dial meter. 22. What is green power and how do I sign up? You can buy green power in 150-kilowatt-hour blocks (about 12 percent of a typical household’s monthly use). Each block you buy will add $4 to your monthly power bill, and you can buy just one block or as many as you like. The green power you pay for will be added to TVA’s electric system as part of the Valley’s total power mix. Read more about Greenpower. You can sign up by filling out the form at the Greenpower site, or contact the Utility Business Office at 865 425-3400. 23. Does the City offer any kind of loans or rebates toward the installation of certain electric appliances, such as, heat pumps, water heaters, etc? YES! Visit our Heat Pump webpage or contact the Utility Business Office at 865 425-3400. Other information is available on the EnergyRight home page. Other loans can be obtained through the In-Home Energy Evaluation Program. 24. 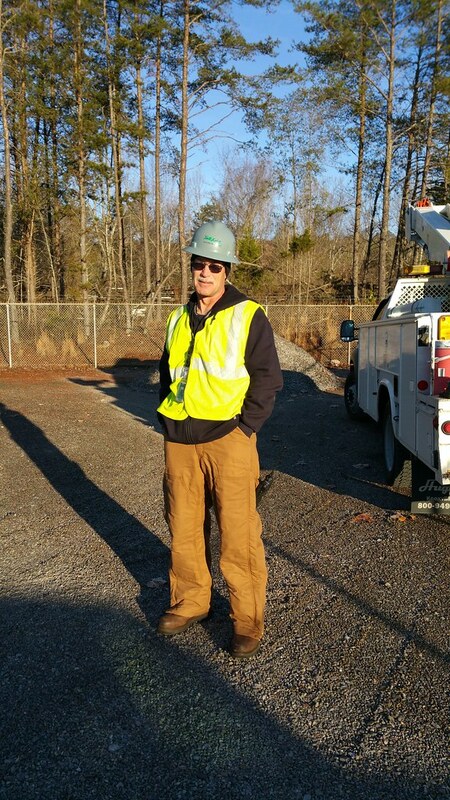 How can I obtain an electrical license to work within the City of Oak Ridge? Contact Code Enforcement at 865 425-3532 and ask for Donna Satterfield or Denny Boss. 25. How can I obtain an electrical permit in the City of Oak Ridge?